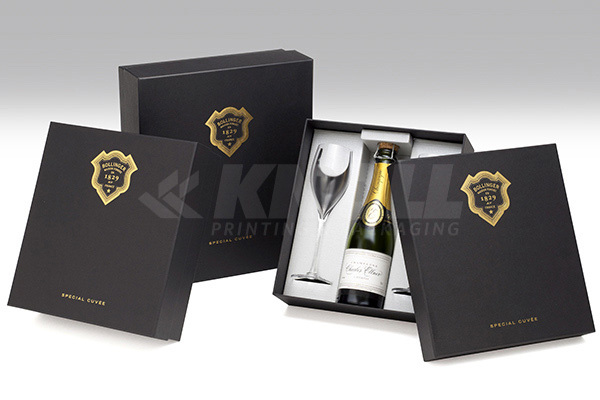 Products – Wine & Spirits - Knoll Printing & Packaging Inc. Custom colour wood coffret with reveal and lined with brown suede. The logo is silkscreened in gold on the base. Elegant shape coffret wrapped with black custom embossed soft touch paper and lined with beige faux suede. Signature metal plaque on outside door. 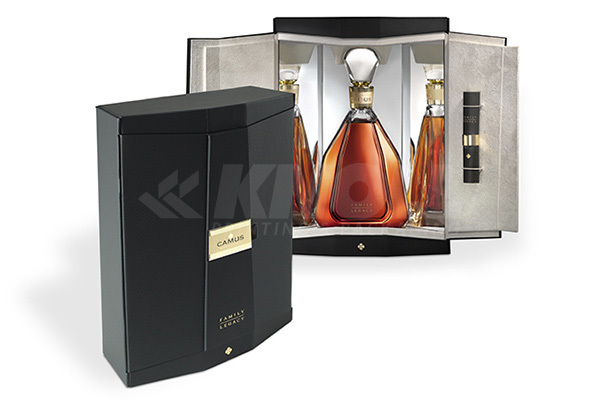 Inside, the background facetted mirror glorifies the Cognac bottle. 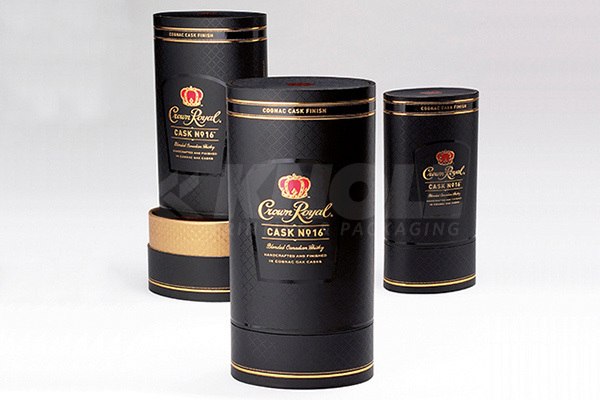 Distinctive slanting opening coffret. Wrapped with black soft touch paper and decorated with a brushed aluminium metal plaque on the cover. 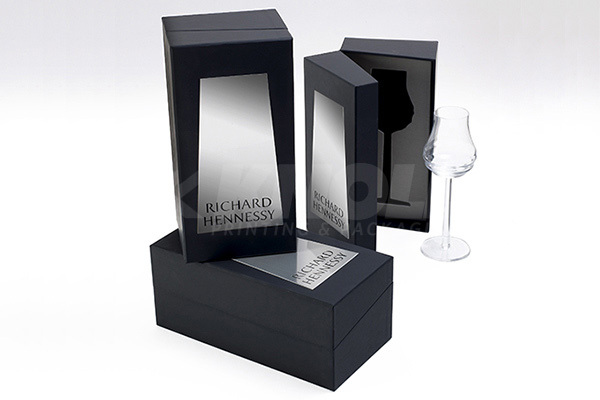 Inside the Richard Hennessy glass and its coaster are placed in black EVA foam platforms with PU mask. Two size coffrets containing glasses and 1 Champagne bottle held in a board platform. Wrapped with black kraft paper and gold hotstamped. Oval shaped boxes with matte black wraps and gold neck. Distinctive decoration by Spot UV gloss coating, multi color stamping and register embossed. Neck and inside lined with embossed matte gold paper. 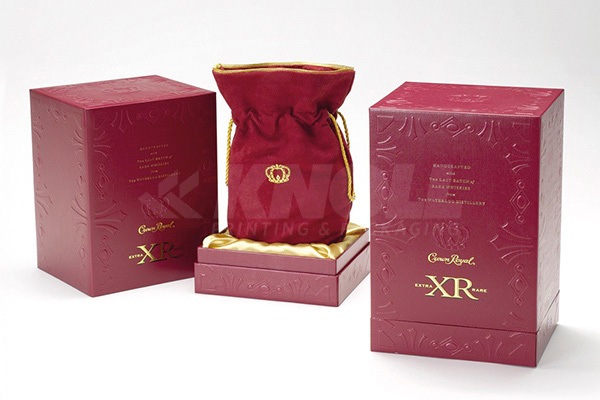 Multi-level embossing and multiple color stamping decorate this prestigious box. 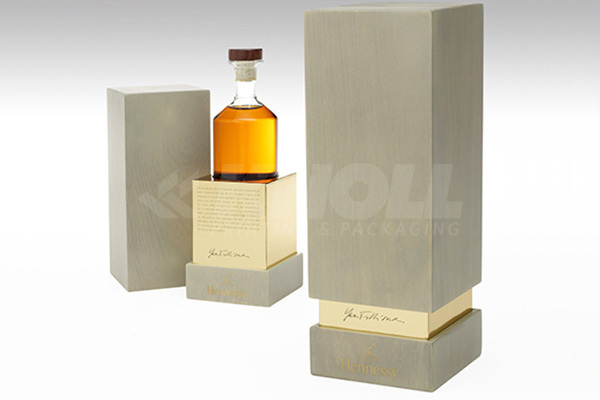 A custom foam insert draped with gold satin was designed to hold the thick glass bottle and bag.